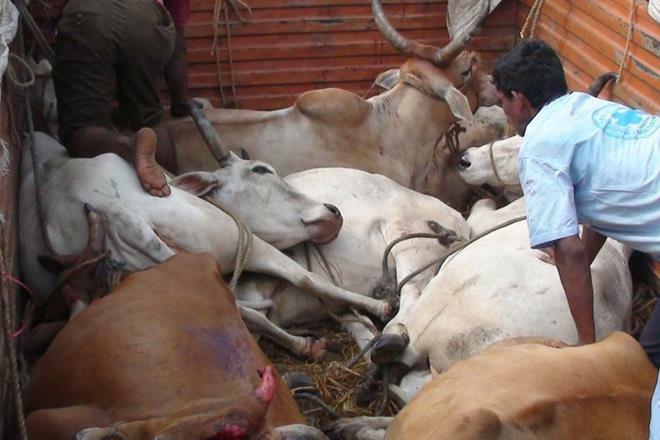 In Hirapur district of Jammu and Kashmir angry local mob set fire in a truck on the news that he carries bovines. Driver and Conductor escaped from the place when he know about Mob. Protesters tries to block Jammu - Pathankot Highway. In response Police fires tear gas and use baton on the protesters.